A cat is content to be a cat. A cat is not owned by anybody. A cat imagines things about you, nothing you can know for sure. A cat reminds us that much in this world remains unknown. 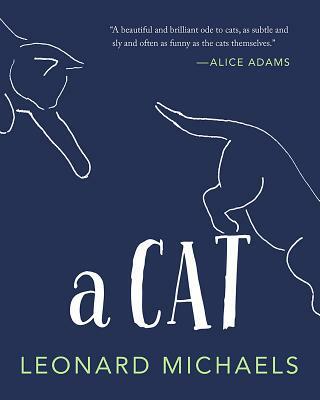 In his novels, stories, and essays, Leonard Michaels proved himself to be one of the most incisive observers of human behavior, but few know that he was every bit as perspicacious a chronicler of America's favorite pet: the domestic cat. Elusive, elegant, and often humorous--much like his subject--Michaels gives us this unfathomable animal as we have never quite seen it before, and yet as we have always known it to be. Through a series of meditations, aphorisms, and anecdotes, along with original illustrations from Frances Lerner, A Cat is a both a compendium of feline behavior and a love letter to this marvelous creature.